With the bounty of cafés UChicago is blessed with, does there really need to be another? It’s not a bad question, considering that the cafés cover every flavor and style on campus. From student-run to professional, from pool tables to pad thai, from BSLC to Classics, we’ve got it all. That is, until the Logan Center was built, and Café Logan along with it. 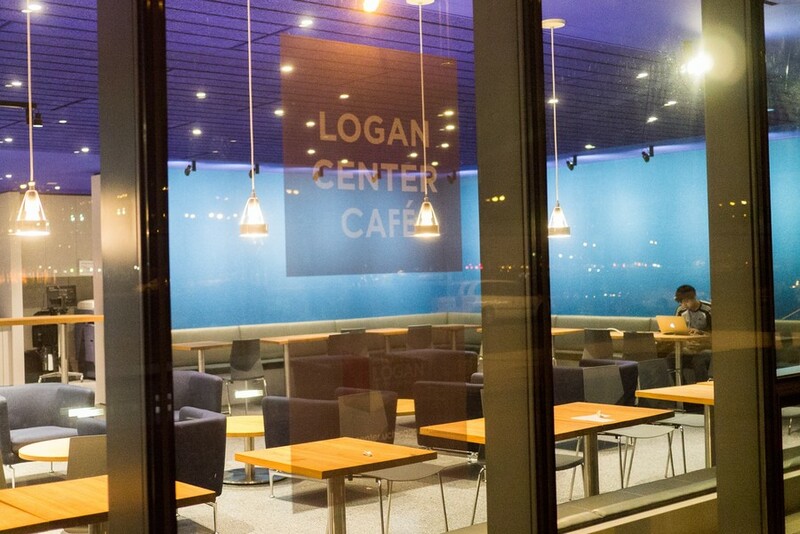 Since art is partly fueled by coffee, it’s convenient to have a café in the Logan Center, especially since the café doubles as a venue for student artists and performers. Catcher in the Rhyme had a slam there last night, to dazzling effect. Just as important, students can dash in for that morning mug of joe before heading to their theater, art, or dance classes. The organic coffee, which is sourced from Farmhouse Coffee, is hit or miss. Some enjoy the dark blend, while others claim to drink it purely for convenience. If you aren’t of the coffee cult, Café Logan also sells beer and wine, but before you get excited, check out the price points: $8 for craft beer (such as Great Lakes or 5 Rabbit), or a glass of wine, and $3.75 for a “glass” of PBR. Not as cheap as the Pub, but better than nothing. Unfortunately, drinks are the best you can hope to do here. Unless you enjoy the “Grab ’n’ Go” wraps, I suggest not eating at Café Logan. And you will want to, because the menu seems to be stocked with the kind of great, high-end dishes one might find in a Loop bistro. However, just like the food one actually tastes at a Loop bistro, they aren’t all they’re cracked up to be. My Spanish Ham Sandwich was much saltier than any serrano I’ve ever had. The panino my friend ordered was not a panino but a slightly warmed collection of sandwich items, namely an under-seasoned chicken, a limp piece of lettuce, and worse-than-deli-quality Swiss cheese. The salad seems to be the only item that some are willing to try again. There are other options on the menu, but I have yet to hear or see any student fall in love with them. Those options do not really include snack items, something that the student body seems to crave. However, UChicago Careers in the Arts director Lloyd King mentioned that the Logan staff has had a meeting with Aramark and that food is one of the topics under review. A bigger problem than the food, however, is the complete lack of student art. Given its location in the Logan Center for the Arts, you’d think the walls would be dotted with pieces from the studios a floor above. Perhaps because this is an Aramark café there is some red tape that needs to be cut. I just hope that it’s cut soon. As it stands, Café Logan is simply another workplace with decent coffee available for purchase. There is a bounty of outlets and a printer located near the entrance. The windows allow natural light to fill the space, and the lighting at night is both soft and easy to work by. While that is all that Café Logan has to offer for now, changes are in the works. Maybe one day it will be a center for art displays, even more performances, and less mediocre food and drink. It could help that the menu rotates seasonally.